The villagers in the region of the Cordillera Blanca in Peru where we were distributing school supplies and solar lighting did not have access to even the the most basic healthcare. So we started on a plan to open a clinic in Quishuar that would serve 3000 people in 10 villages in the surrounding area. The construction was based as far as possible on locally sourced materials. The windows and doors were made in the area to give work to local craftsmen. All the bricks and cement were also purchased locally. Two masons from a neighbouring village were hired to handle the construction. Much of the rest of the labour was done by the villagers on a voluntary basis. We are deeply grateful to all that worked on the project. In addition to supporting our clinic in Quishuar we have a programme to provide medical supplies and basic first aid kits to areas which have no healthcare support. We operate mobile clinics, both in Peru and Nepal, which treat minor aliments and which also give basic first aid and hygiene training. In Nepal LED has links with PHASE-NEPAL and we assist with the supply and delivery of medical supplies to their new health posts in the Manaslu region. As part of this project there is additional training for the health workers. Some medical and hygiene supplies can be sourced in country, but much of it is donated and brought in by our volunteers. 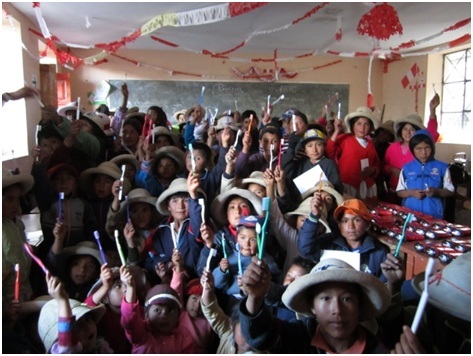 One of our big successes was when a school party from the Fulford School in York took 1800 toothbrushes, donated by East Farleigh Primary School, to the Cordillera Blanca and gave demonstrations to the children there on how to keep their teeth and gums healthy. We continue to look for volunteers to help us provide medical training and support. 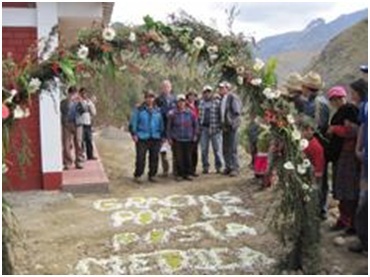 Medical students are supervised by a medical practitioner based in Huaraz – you will find details on our How You Can Help page, together with reports written by recent volunteers, ranging from medical students on their elective to recently retired GPs. By joining one of Val’s treks, you will help with the financing of the delivery of supplies, and of course, any donations will be gratefully received. Even a small amount makes a big difference in these communities.